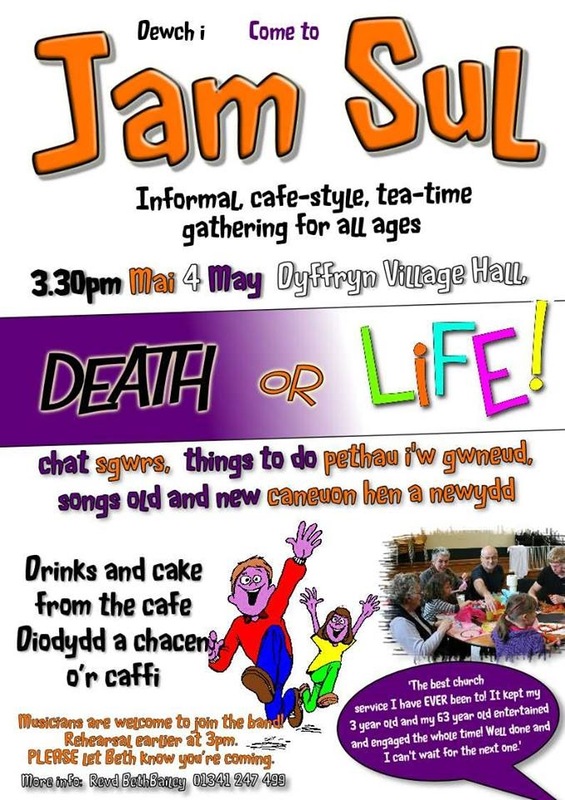 I’ve written before about Jam Sul, but this month Radio Cymru came to record and interview people in Jam Sul about what we’re doing and why we’re doing it. It was really good to have them here. Here is what they broadcast on the 18th April. Today my incumbent retires and she will be very missed in these parishes where she has served her entire ordained ministry. We’re celebrating her retirement with a service followed by lunch and the presentation of a few gifts from the churches and the community. We wish her well in her retirement. Here is a online copy of an album of photos that have been compiled over the last few weeks, photos of the parishioners memories.